When it comes to market research, the data you gather is what truly matters. However, there are a variety of factors that go into collecting that precious data – from your research plan, to recruiting the right respondents, and recording quality audio. Recording high quality audio is one of the most significant pieces of the puzzle. When you decide to have your research transcribed, or are even reviewing it yourself, if the information your respondents gave can’t be clearly understood, then you’ve got a big problem. So, how do you get better results? The path to quality recordings begins with the equipment you use. If you’re using a market research facility, chances are you’re in great hands when it comes to the caliber of recording equipment involved. If you’re doing shop-along work or casual one-on-one in-person meetings, making sure you have a solid recording device to capture your data is crucial. Luckily, with advancements in technology, something as simple as your iPhone can work wonders. Be sure to do a test run in the type of setting you’ll be recording to make sure you can clearly hear responses before interview day. Speaking of location, when it comes to recording an interview or focus group, if you want a quality recording, you need to limit background noise. In a perfect world, your research will be conducted in a room specifically designed to record quality audio – but that doesn’t always happen. Sometimes even in a facility, background noise or the positions of microphones can make for poor audio recordings. When you book where you’ll be interviewing, evaluate the space and placement of recording equipment. For example, if you’re holding a focus group around a large table with microphones arranged directly on the surface, you could place a cloth under each microphone to muffle accidental bumps and thumps during your interviews. Additionally, make sure that microphones are close enough to participants to register their responses even if they speak quietly. Even better? Simply remind your respondents to speak in turn, one at a time, to limit unnecessary crosstalk. Background noise happens. It’s inevitable that one of your participants will have a nagging cough, or the sirens just outside the window will be nonstop, during your interview. However, taking actions to limit the background noise you have control over can make for better audio recording of your market research project. If you’re out in the wild meeting someone for an interview in a public space, make sure to show up early and try to find a quiet corner. If you’re recording in a facility, ask that air conditioning or heating be paused during your session if possible – if it doesn’t impact the comfort of your respondents, of course. 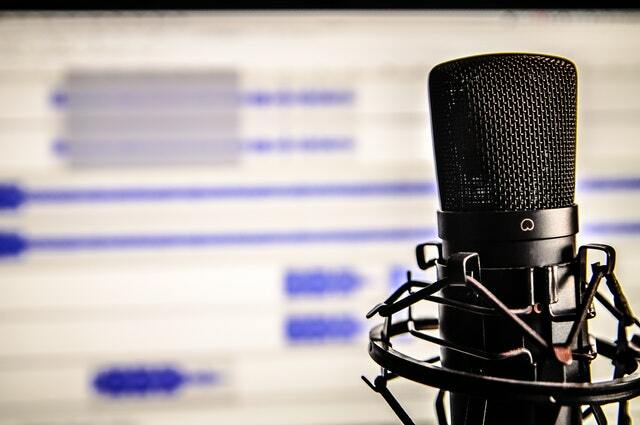 By focusing on getting the best audio possible out of your sessions, you’ll be set up for success when it comes to mining data for nuggets of insight. Accurate and complete data comes from quality audio and in turn takes a little more work off your plate!